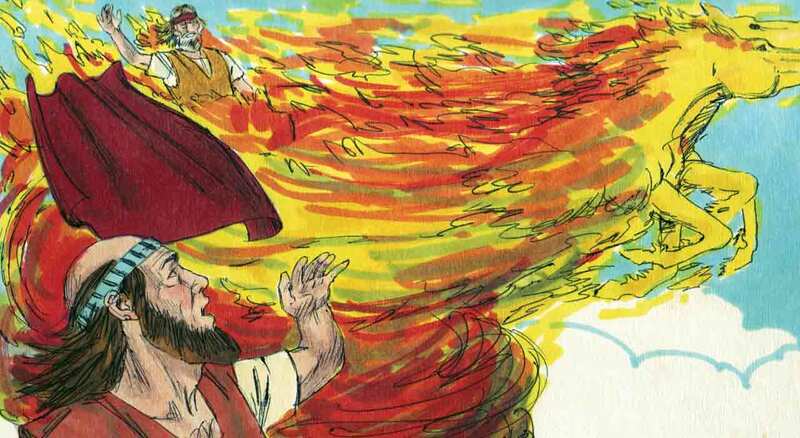 The company of prophets saw that the spirit of Elijah was resting on Elisha, but their eyes were blinded to the reality of Elijah’s ascension into heaven. Unless the Lord in sovereign grace gives us spiritual eyes to see, ears to hear and a heart to respond, we will not understand our need for the ascended Christ. As 1 Corinthians 2:14 points out: The natural person does not accept the things of the Spirit of God, for they are folly to him, and he is not able to understand them because they are spiritually discerned. By God’s grace, by the Holy Spirit’s indwelling, do you see the spiritual truths of God’s Word? Do you see that Elijah’s ascension was but a foreshadow of the ascension of Jesus Christ? Do you see that Christ sacrificed Himself for you before ascending into the glory of heaven so that one day you, too, may ascend into glory by His merits and not yours? Do you see that He will return in glory, bodily, not to bear sin but to judge the living and the dead? Do you eagerly await His return and the unveiling of the new heavens and the new earth? If so, then look for every opportunity to serve Him with gratitude and joy, just as Elisha did so long ago, as he served as Elijah’s attendant! Thank God for revealing His Son to us through the types and shadows of the Old Testament as well as the New Testament testimonies of His redeeming love. And thank Him that we too will ascend into glory as He will transform our lowly body to be like his glorious body, by the power that enables him even to subject all things to himself (Philippians 3:21).